what Mrs. Stiefvater has in store for us. And I've heard good things about the Clann series. I can't wait to get started on it. Ooh! I requested The Raven Boys today and can't wait to read it, whether or not I'm approved via NetGalley. I'm definitely buying the book! :-) Covet looks/sounds good, too! I hope you enjoy both of your lovelies. I really liked book one so I'm excite to read Covet!!! I just received it for review as well so yay!! Enjoy!! The Raven Boys is sooooo amazing! I can't wait to see what you think! I really liked Crave and am looking forward to reading Covet as well :) Hope you enjoy! Ooh nice! I never did read Crave, so I had to pass on Covet! And I still cannot make up my mind on the Raven Boys! Happy Reading! ooo, The Raven Boys! I'll be ordering that book as soon as it's out. So far any Maggie's book I read was beautiful. Enjoy both your reads, sweetie! Hope you enjoy your nre editions! I'm reading The Raven Boys now, and it's super good! ;) Hope you enjoy it as well! THE RAVEN BOYS! I am SO EXCITED to read this! oooh, The Raven Boys! I've heard Maggie is an amazing author but I have yet to read her work! Enjoy your books! I just requested The Raven Boys a couple days ago so hopefully I'll get approved! I haven't heard of Covet, but the cover's pretty. Hope you enjoy both of these! The Raven Boys looks pretty interesting. I almost requested it, but I haven't read anything by Maggie yet. Shiver is on my bookshelf here at home so it's definitely on my TBR. Enjoy, Christy! OH nice you got The Raven Boys - that's got to be good!!! The Raven Boys looks awesome. 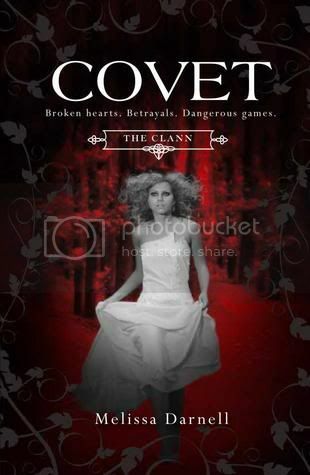 And I really like the cover for covet, the red is creepy! 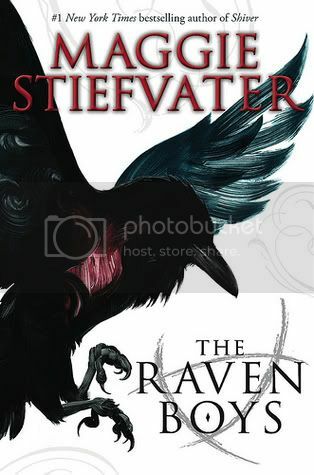 I can't wait to read The Raven Boys! The reviews I've seen for it so far have been very positive. Happy reading :). Aaargh, I found out about THE RAVEN BOYS being on NetGalley waayy too late - I requested it though and really hope to get approved as well. Loooove Maggie's books.